Experience - Cheshire Moon Inc.
We are proud of the impact we have had on our community. 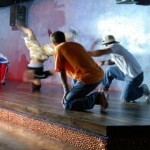 Our performance events have spanned more than a decade, and have featured thousands of artists. Renowned professional dancers have shared the stage with emerging choreographers and companies; building relationships, strengthening the Southern California dance community, and providing career advancing opportunities to present original works. 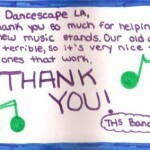 Dancescape Ed has created job opportunities for many of these exceptional artists by bringing them into local schools. Elementary and middle school students receive quality dance education during or after the school day in a location that is familiar, comfortable, and convenient for parents. With the launch of Dancescape NextGen in 2013, we created a non-competitive performance experience for youth dance programs. After school programs, dance studios, and nationally recognized competition teams come together in an afternoon celebration of dance in all its forms. For many groups, NextGen is the first time these dancers perform outside of their school or regular venue. With a state-of-the-art venue and special guest performers, Dancescape NextGen has successfully brought together directors, teachers, performers, and families from diverse cultural, socioeconomic and geographic groups. All of these events have donated a portion of the proceeds to art and music educational programs in local schools. We frequently work with DonorsChoose.org to ensure that visual and performing arts and music supplies are delivered directly to high needs, high poverty schools in the Los Angeles area. To date, Dancescape contributions have funded art and music education programs impacting more than 6,000 public school students.